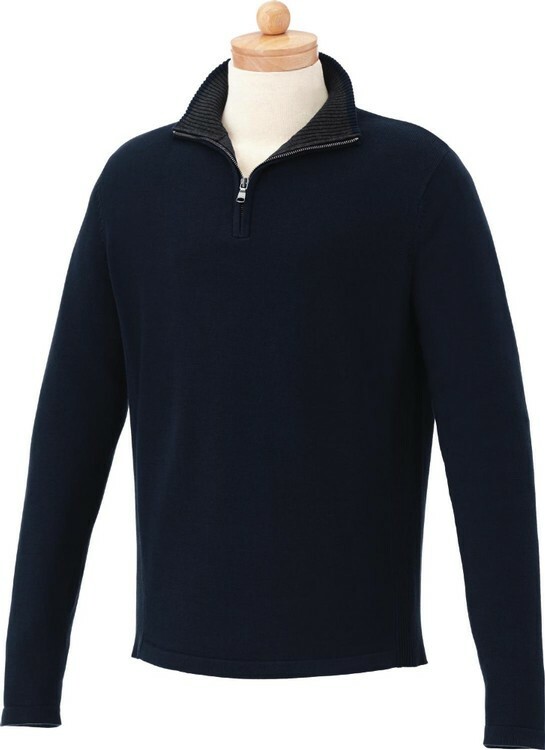 The Moreton Quarter Zip Sweater is a versatile cotton knit for men. A classically styled sweater with ribbed knit collar and side panels. Turn to the Moreton quarter zip sweater for corporate events, team and university pride and sleek golf and resort apparel. 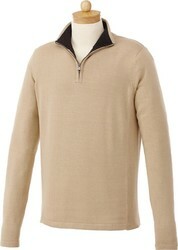 The Moreton is available in five stylish colors. *Only select colors offer all sizes.